In the gallery: One 76.2 x 101.6 cm [30 x 40 in.] black and white photograph mounted on board; label. 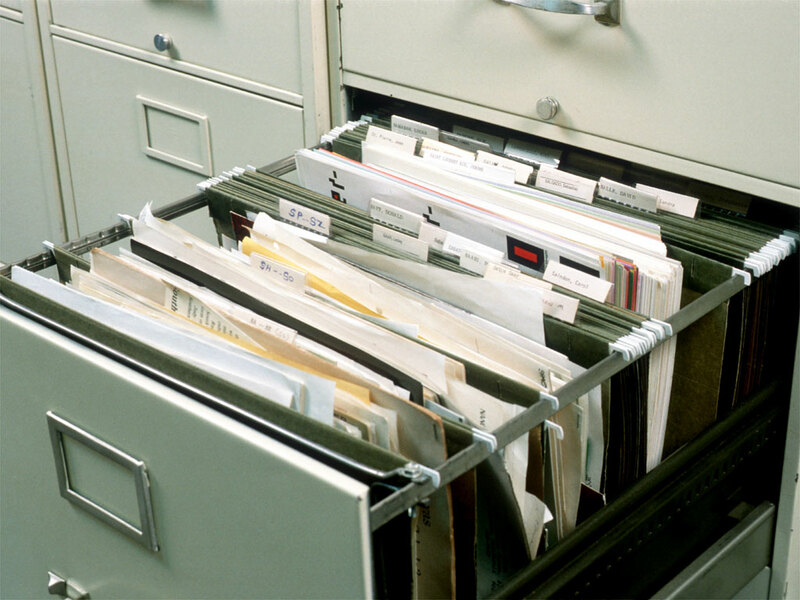 In the library’s special collections: Approximately 500 different sheets of blank US letter size (28 x 21.6 cm [11 x 8 1/2 in.]) paper samples; invitations announcing the show. 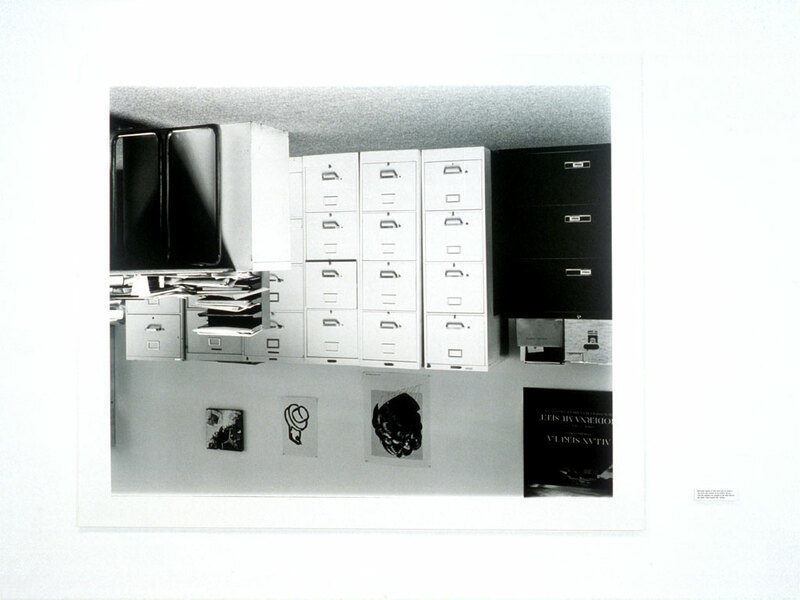 A photograph in the gallery shows the filing cabinet in which the school archives ephemera related to the work of faculty, students, and alumni. 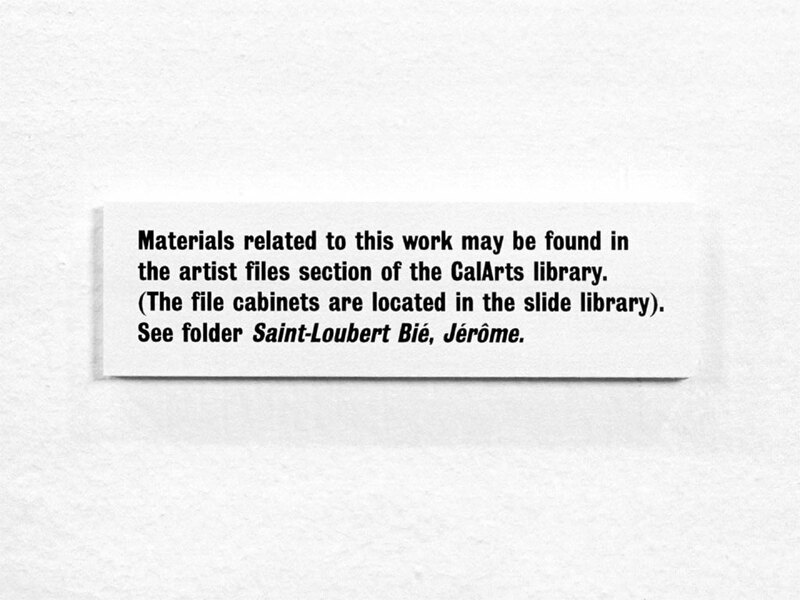 A label explains that documents connected to this work have been added to a file under my name. The viewer could go to the library and find in this file a stack of blank paper of different textures and colors, along with the invitation to our exhibition. 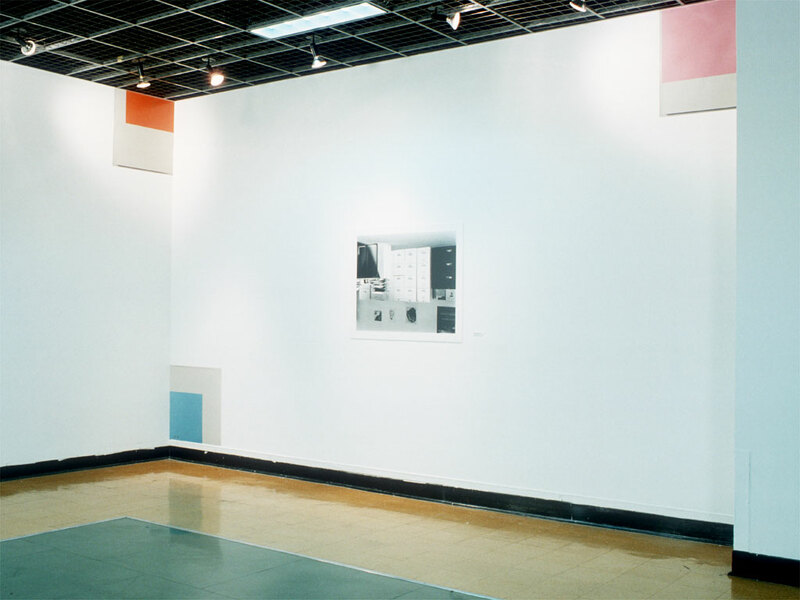 The collaboration with Mark Robert Lewis consisted in each artist hanging the other artist’s work.